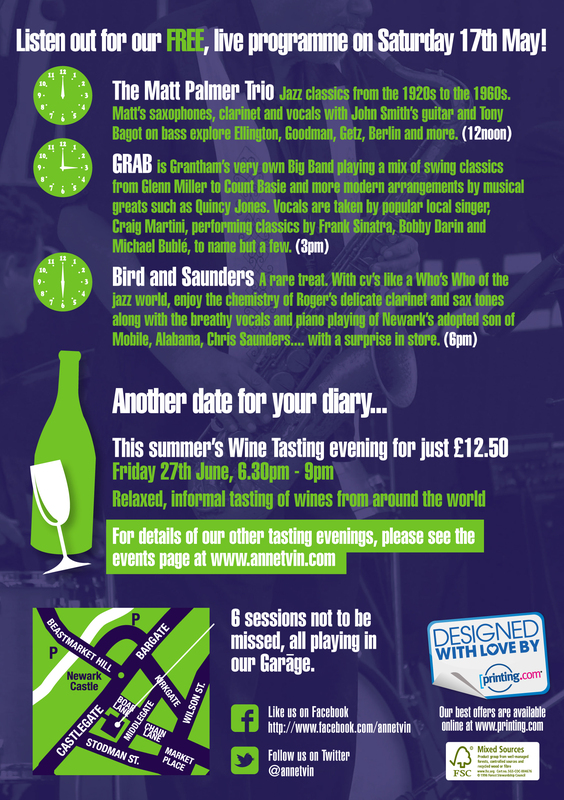 Jazz et Vin returns to Newark this summer, with a weekend of free and ticketed gigs on Saturday 17 and Sunday 18 May. From ragtime to rock ‘n’ roll, gypsy jazz to folk and traditional tunes, there’s something on the menu for everyone at Ann et Vin on Castlegate. 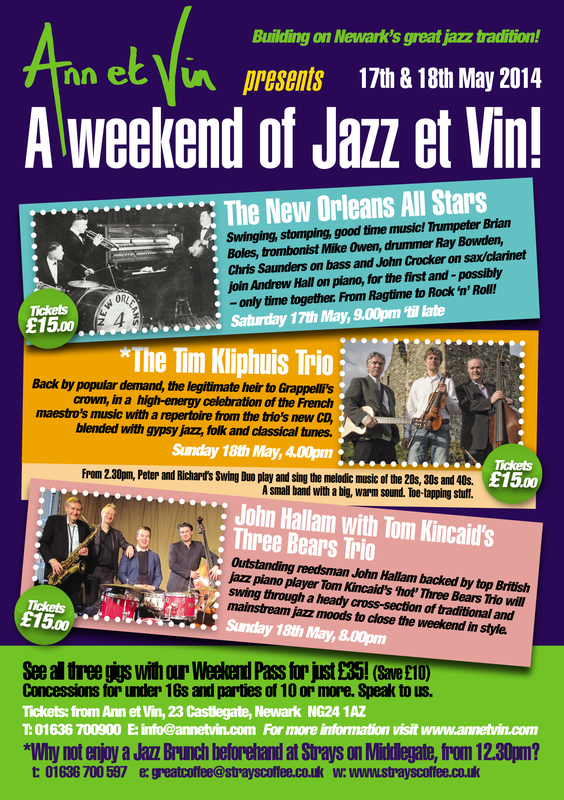 Check out the programme below for full details – just click on each of the pics for a full-size image – and book your tickets now for a swinging weekend!